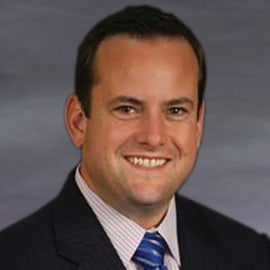 Ian Boccaccio is a Principal and Income Tax Practice Leader at Ryan, responsible for leading a global service team of highly skilled professionals coupled with cutting edge technologies to make substantive and long-term differences to organizations profitability. Prior to Ryan, Mr. Boccaccio was a Partner at a global tax and business advisory services firm in New York City. With more than 20 years of practice, he has extensive experience in serving a range of international tax needs for some of the most complex companies in the world in a range of industries. Additionally, Mr. Boccaccio has taught these specialized areas of taxation at various seminars around the world. Mr. Boccaccio has spent much of the past few years assisting clients in preparing their organizations for U.S. Tax Reform. In addition to serving his clients, he has been a consistent thought leader on U.S. Tax Reform, presenting at leading industry seminars, and contributing to industry publications. Recent bylined articles include: • “What’s That Thumping? The Repatriation Boogeyman is Back!” Global Tax Weekly • “The Repatriation Boogeyman,” Global Tax Weekly • “Repatriation Readiness: Now is the Time,” Global Tax Weekly • “A Blind Spot for CFOs: How Global Companies Can Successfully Address Threats to Withholding Tax Compliance,” Global Tax Weekly Mr. Boccaccio is a Board member of Helping Hands Dallas, and a member of the Chicago Tax Club and International Fiscal Association.